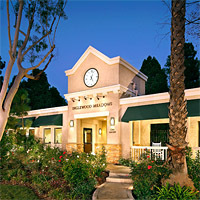 Inglewood Meadows is a 199-unit, Section 8/Tax Credit property for people 62 and over, located near Main Street shops and restaurants in the city of Inglewood, CA. The waiting list is currently closed. Each one bedroom unit has wall-to-wall carpeting, blinds, heating and air-conditioning. Kitchens are fully equipped with a stove and refrigerator. The property also has on-site management and maintenance staff. The large outdoor courtyard features barbecue areas. Residents can play billiards and ping pong in the community room, as well as participate in group activities such as bingo, line dancing and monthly birthday celebrations. Inglewood Meadows provides convenient access to public transportation, health facilities, community services and a senior center.